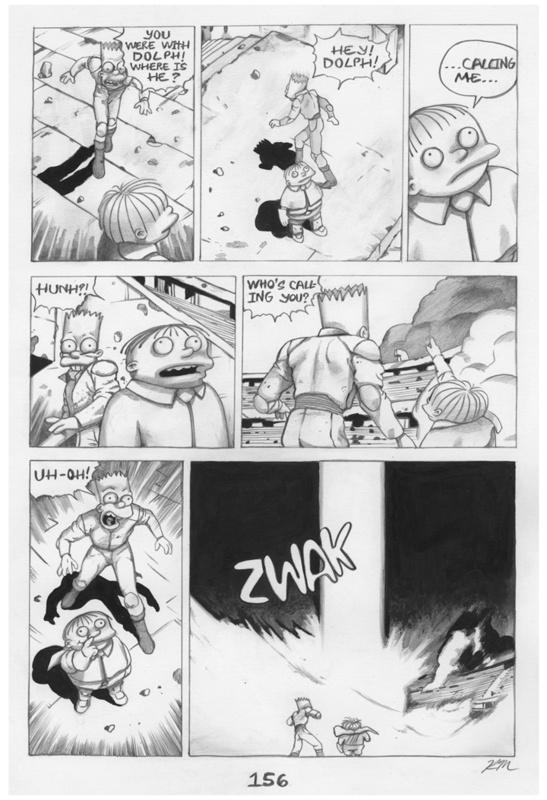 Bartkira Project, Volume #6, Pages 156-160, Graphite and Ink on Paper, 14 x 17"
This project is a massive collaboration among hundreds of artists. 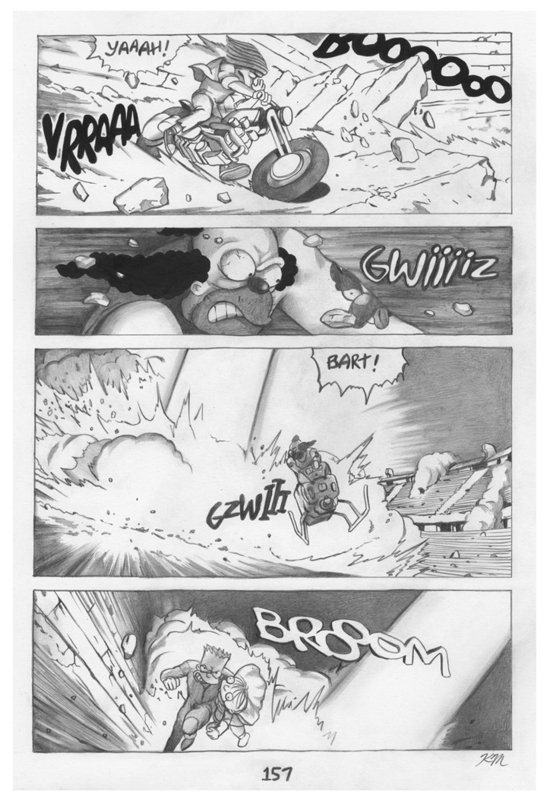 Otomo Katsuhiro's manga classic Akira is re-told using characters from The Simpsons. 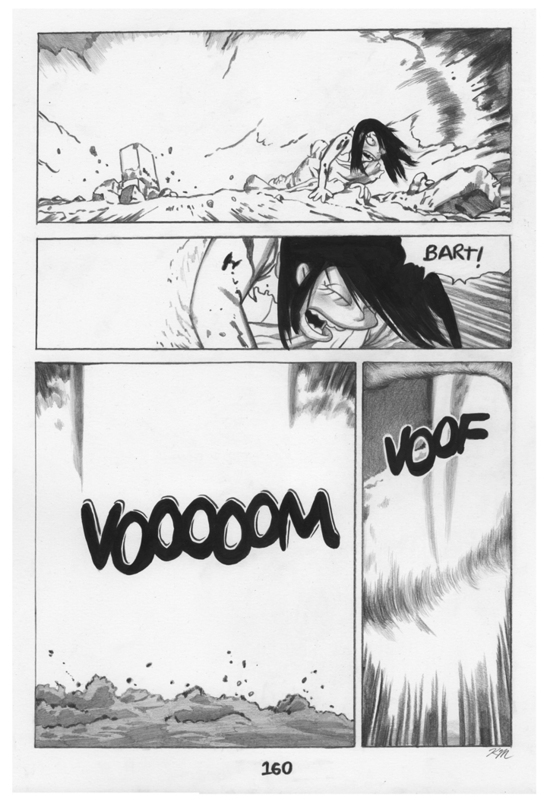 Artist James Harvey proposed the idea after seeing Ryan Humphrey incredible drawings of the first Bartkia comic.